The Qutub Shahi dynasty of the Deccan is remembered for many contributions. The Golconda Fort,Charminar, various monuments and founding of the city of Hyderabad in the Deccan region of India. The Bahmani kingdom ruled the Deccan between 1347-1525 from Gulbarga initially and then from Bidar. However it disintegrated and five independent kingdoms evolved . 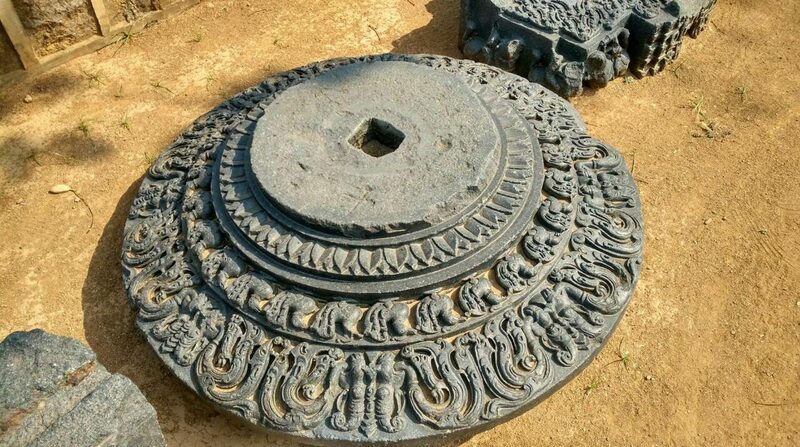 The Qutub Shahis with capital at Golconda, the Imad Shahis with capital at Ellichpur, the Adil Shahis with capital at Bijapur, the Nizam Shahis with capital at Ahmednagar, The Barid Shahis with capital at Bidar. The founder of the Qutb Shahi kingdom was Sultan Quli, an immigrant whose paternal home was in Hamadan, Iran. The Bahamani empire had many afaqis or immigrants from Iran,Iraq,Turkistan, Arabia,Africa,etc. These afaqis gradually dominated society and occupied important posts. The society of Deccan was a cultural synthesis and included people of different ethnic origin,races,religion and culture etc. This lead to evolution of “Deccan culture” and later “Hyderabadi culture”which continues to this day. Sultan Quli came along with his uncle Allah Quli to Deccan and Bahmani ruler Sultan Mahmud Shah Bahmani received them well and appointed Sultan Quli as one of his courtiers.He was given horses, a jagir of Kurangal. He earned the title Qutb-ul-mulk beacause of his military and literary talent.He was appointed tarafdar(governor) of Telangana in 1495. and the fort at Golconda hill was added to his existing jagir. From this jagir evolved the Golconda fort-city and the capital which got densely populated with time. Sultan Quli rebuilt the mud fort which was originally built by the Kakatiyas and called Mankal. He renamed it as Muhammadnagar. In 1518, he declared independence and made Golconda his capital. He strengthened the defences of the hill and built strong ramparts. The fort-city included public buildings, mosques, offices, palaces, rest-rooms,gardens, baths etc. Sultan Quli ruled for 50 years, 24 as governor and 26 as ruler before his assassination in 1542. The Golconda kingdom extended from Warangal to the Masulipatnam(now Machilipatnam) coast. His son Jamsheed Quli succeeded him who ruled for seven years. After him Sultan Ibrahim Qutb Shah,sixth son of Sultan Quli ruled after brief rule of few months of rule by Subhan Quli; for 30 years ie. 1550-80. Along with other Sultans of the Deccan subdued Vijayanagara, issued coins and patronised Telugu literature. He also had a great fondness for Persian and was responsible for the rise of Dakhni, precursor to Urdu. He built the bridge over the Musi river in 1578 in order to expand his capital. His son-in-law Hussain Shah Wali built the Hussain Sagar Lake. A new town Ibrahimpatnam was named after him.He was succeeded by his son, Muhammad Quli Qutub Shah who was only fifteen and the administration was handed over to Rai Rao and Mir Momin Astrabadi. Since Golconda was large, prosperous and densely populated, its fame of diamonds and printed cloth attracted traders from Europe and Asia, the need for a new city was submitted via a petition to the Sultan by the nobility. This was accepted and the plan for construction of a new city was prepared by Mir Momin Astrabadi. The Sultan laid the foundation in 1591 and named it Hyderabad, after Hyder, the title of the fourth caliph of Islam. Since the city had many gardens it has also been referred to as Baghnagar by historians and travellers. Hyderabad was built on the gridiron system in the form of a large double cross. The Charminar stands at the city centre, completed in 1592 and four roads extend from its portals. The city was divided into 12,000 muhallas(precincts). The city’s main roads were lined with shops, buildings, mosques etc. The Charminar is the most famous Qutb Shahi monument.The Sultan built many public buildings and beautiful gardens. The Charminar is flanked by four arches, the Charkaman at a distance of 375 feet from the centre. The gates are called Sher-e-ali kaman or Sher-e-batil , Kali kaman, Machli kaman, Charminar ki kaman. The Qutub Shahis built many palaces like Khudadad mahal, Chandan Mahal,Sajan Mahal, Lal Mahal, Nadi Mahal and pavillions like Naubat Pahad and Koh-i-tur etc. Muhammad Quli Qutab Shah built the Badshahi Ashura Khana in 1595, where alams similar to the ones carried by Imam Hussain are kept. He also built commercial complexes around the Charminar including the Lad Bazaar. After Muhammad Quli Qutb Shah, his nephew Mohammad Qutub Shah, son of Mohammad Amin, succeeded him in 1612 since he had no male heir. He ruled for 14 years. He laid out a few more gardens and continued work on the Mecca Masjid after getting sand from Mecca in Arabia. The mosque has huge dimensions with a prayer hall of 225 feet length and is 75 feet in height.Sultan Mohammad maintained a fleet of ships and Golconda had good trade with Europe.He was succeeded by his eldest son Abdullah who supported trade with the British. The Golconda kingdom produced a variety of products and Masulipatnam was an important port city in its territory. Abdullah Qutub Shah had no male heir and his son-in-law Abul Hasan Tana Shah was made Sultan in 1672. Golconda fell to the Mughals after along seige in 1687 and along with the plunder of Hyderabad, the Mughals took away the accumulated wealth of Sultan Abul Hasan who spent his remaining life at Daulatabad. Golconda was famous for its diamonds and there were many mining sites within the kingdom. The Kohinoor, Hope Diamond, Pitt-regent, Idol’s eye,Dariya-e-noor, Noor-al-ayn are a few famous diamonds. The Qutub Shahi architecture was unique and included arches,pillars, arches, domes and minarets. The rulers originally came from Persia or Iran and were patrons of art and learning. They invited scholars, artists and craftsmen to their courts. Their architecture was originally a mix of Persian and Deccan styles. Later Turkish influences were seen. Their architectural structures include the fort,mosques,palaces, tombs and public utility buildings. A very important building was the Darushifa which was a general hospital and attached to it was a college for Unani medicine. Qutub Shahis had their own coinage, patronised learning and the languages Persian and Dakhni. Many books were written in Persian in various subjects with their support. Sultan Muhammad Quli himself composed 15,000 couplets in Urdu. The fort stands on a hill, 400 feet above the plains around and is a large Deccani fort. Sultan Quli replaced the original mud fort and built a new stone structure with large gates. Many structures were built within and it became a fort with three fortifications. There were palace, gardens and mosques. The fort complex is in the shape of an irregular rhombus having a crenallated granite wall, a moat and a citadel called Bala Hissar. The Fateh Darwaza is the outermost gate. The other gates include Bala Hissar Darwaza, Banjari Darwaza, Jamali Darwaza, Naya Qila Darwaza and Moti Darwaza. Bahmani, Badhi, Mecca and Patancheru are the other gates. The fort has 87 bastions and 52 posterns. The Petla Burj, Musa Burj and Madina Burj are well known bastions. A cannon Fateh Rahbar is kept on Petla Burj. Structures inside the fort include Shamshir Kotha, Telka kotha,Dhan ka kotha,Jabbar Kotha, Jami Masjid, Ashur khana,Guard rooms, Hathirath mahal, Katora hauz,, Aslah khana,Ambar khana, Bahmani mosque. a Hindu temple, a throne for the Sultan ascended by ten steps. Palaces of Tarmati and Pemamati , ladies from the royal harem, were also built. Mushk Mahal was a palace built in 1673 by Miyan Mishk. Toli Masjid was built by Musa Khan, a mahaldar of Abdullah Qutub Shah in 1671. Mosques at Saidabad and Mirpet, which has calligraphy by Hussain b.Mahmud Shirazi were built by Mohd Quli Qutb Shah. Mosques exist at Khairatabad, Musheerabad and near Puranapul at Hyderabad from the time of the Qutub Shahis. To the north west of the fort are situated the Qutub Shahi tombs in a garden ambience built in their typical architectural style. Qutub Shahi tombs, view from the fort. Deccani qalam is the style of painting which evolved under the Qutub Shahis. The kalamkari techniques of Pallakolu. Masulipatnam, Kalahasti flourished in their reign. Picchwais were also produced during the Qutb Shahi rule, expressing themes from Lord Krishna’s life. H.K. Sherwani/Muhammad Quli Qutb Shah founder of Haidarabad, New Delhi : Asia Publishing House,1967. M.A.Nayeem/The splendour of Hyderabad, Hyderabad Publishers: Hyderabad,2002. This entry was posted in Deccan history, History of Hyderabad, Hyderabad, Qutub Shahi dynasty on July 14, 2016 by historyreads.